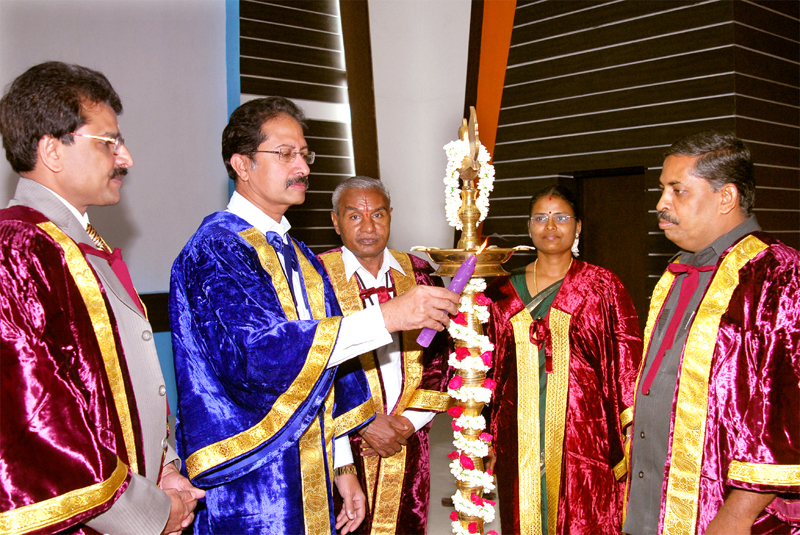 SALEM.SEP.19: Vinayaka Mission' Homoeopathic Medical College hosted Graduation Day 2010 at Vinayaka Mission's Kirupanandha Variyar Medical College Annapoorana Auditorium. Dr.V.Kanagasabai, Director of Medical Education, Govt. of Tamilnadu, Chennai was the Chief Guest of the function. Prof. Dr. P.K. Sudhir, Principal Vinayaka Mission Homoeopathic Medical College welcomed the gathering. Prof. Dr. Jayapal, Dean Vinayaka Mission's Kirupanandha Variyar Medical College presided over the function. About 100 Undergraduate and post Graduate students were conferred with degree in this function. Prof. Dr. A. Nagarajan coordinator of the graduation day gave the vote of thanks.